When you hear the word “discipleship” what do you think of? Many go right to Jesus and his calling of twelve men to serve as his disciples. 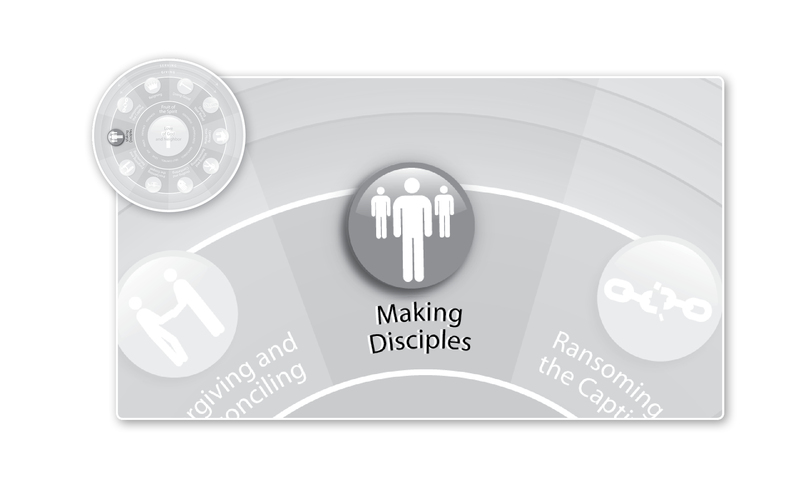 We tend to think of Jesus as the pioneer of discipleship. Surprisingly, however, Jesus is continuing a model already fully developed in the Old Testament. This is best observed in the relationship between Elijah and Elisha, the great prophets of Israel. Several aspects of Elisha’s life exemplified discipleship in Jesus’ time. First of all, Elisha went to live with Elijah, spending year after year with him. That made sense in light of the fact that the goal wasn’t just academic learning but personal transformation. As the Jewish historian Shmuel Safrai explains it, a disciple ‘did not grasp the full significance of his teacher’s learning in all its nuances except through prolonged intimacy with his teacher, through close association with his rich and profound mind.’ To that end, the disciple would accompany the rabbi on all of his daily rounds: going to court, helping the poor, burying the dead, redeeming slaves, and so on. The disciple sought to be a humble and caring companion doing personal acts of service and helping the teacher in all things. So the teacher/disciple relationship is hierarchical. The Gospels make it clear that Jesus’ disciples also served him. They went into town to buy food (John 4:8), and they arranged for the Passover celebration according to his directions (Luke 22:8). Disciples were expected to take turns preparing the common meal and serving the needs of the group. In that sense, Jesus wasn’t doing anything new. But what is new is Jesus’ mirroring to his disciples a fundamentally different character of relationship between the teacher and his students…which we’ll look at in our next post! In the meantime, take a moment to answer the question we began with: when you hear the word “discipleship” what comes to mind for you and why? This entry was posted in Uncategorized and tagged Christianity, Discipleship, Jesus, Making Disciples. Bookmark the permalink. Why is it that so many young people find it difficult to put aside their secular jobs to answer to Christ’s specific call to them for full- time ministry today? I think of two examples: Dr. Foley & Tim and Ravi Zacharias & Nabeel. I would still like to know as to where and when Elisha was born, his livelihood, why Elija was keen to get the service of Elisha, the exact reason for God to take up Elija. Maybe one day we will learn together when Christ comes back! Q:In the meantime, take a moment to answer the question we began with: when you hear the word “discipleship” what comes to mind for you and why? A: We have never discipled nor been discipled. You may not have had the experience of going to live with someone to learn from them, or having someone come live with you in order to learn from you (although I can think of some examples of more short-term versions of this in your life! ), but one big discipleship relationship you may be overlooking in your life is your marriage! I think I have the best guy ever created on the earth.